Buyer and potential Buyers are presented with ALL Stitchex brands by going to the https://buyer.stitchex.com URL. From this site, they will be able to browse and view all products that were configured by the Brand owner to show in Showroom and not marked as "hidden". Buyers will only be able to see prices and place orders for Brands they they applied for and were approved for. For more information, see our Buyer Accounts - Sign Up, Apply & Approve Knowledge Article. 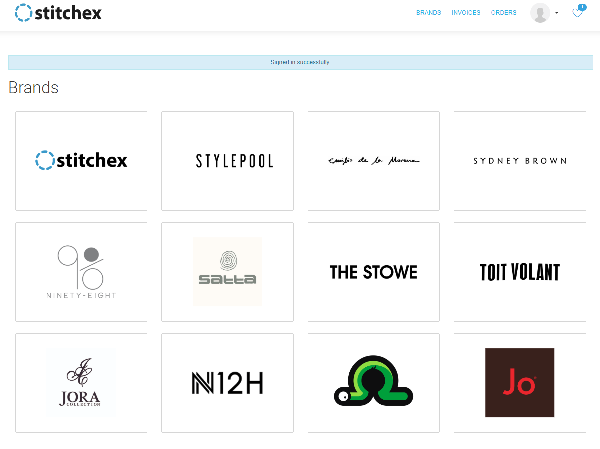 While navigating within Stitchex, if the Buyer wants to return to this Brands listing, they only need to click on the "Explore all stores" link at the bottom of their screen.